When you are first beginning to crochet, easier projects allow you to improve your skills and advance to more complex patterns in time. 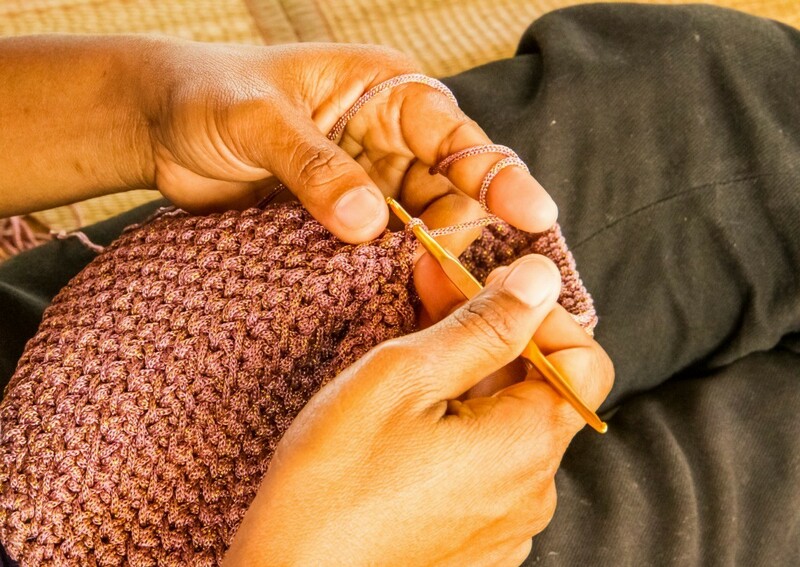 This is a guide about crochet patterns for beginners. Does any one have any new crochet patterns that are quick/take along? I am looking for projects like the scrubbies, etc. One is to make circles. They can be used for so many things like putting two of them together for a pin cusion (will send you my submissions for some help), you can sew them together later for a lapgan or place mats, hot pads (not pot holders, but the kind you lay under a hot pan), and so many other projects like vests, chair and arm covers and more. The link I am sending now is for a virtual plethora of free patterns, so you can search to your hearts content. and here is my submissions you might want to try. That should keep you busy for a while!! Both have tons of free patterns! I am looking for easy beginner's crochet items. Any suggestions? I love this simple stitch. If you can master a chain and a single crochet, you can make these for gifts or to keep. Hot Pad: Chain 25, this gives you a 6" square base. Make a single crochet in the 1st chain, skip a chain and make a chain 1, then a single in the 3rd chain...and the 5th, and 7th...etc. Make sure to do the last single in the end of the chain and chain 1, then turn. Repeat this pattern till you have 23 rows. For some reason, a row is a bit taller than a chain, so your work will need an odd number of rows to make a true 6" by 6" square. Bind off and work in tail. Pot holders are different than hot pads. One is to be around the burner and should never be acrylic. When it ignites, it's plastic so it goes molten and can burn you bad. Hot Pads are just to protect your counter and tables so they can't get close to the flame or burner. These work up really thick which is also another reason for a hot pad as they don't fold or bend well. Here is a photo of some I have done. Love this and thank you very much! God's blessings to you! I am learning how to crochet a doily and I was looking on the internet for a very simple round doily. They all seem complicated to me. Anyone out there have a easy one for a beginner? Thanks loads. There is a website: knittinghelp.com that also offers crochet help and patterns. you can ask this same question on their forum if you don't find a simple pattern. also go to your local library for books on crochet for beginners. or call a local yarn/craft store to ask is they have classes for beginners. they will often offer to let you come in for free to get one-on-one help if they are a privately owned store. you'll find them to be very friendly. you can also google knit/crochet guilds or clubs in your area and call them for help. hope that helps! I am looking for crochet patterns. Here is a link.There are lots of easy patterns out there you just have to hunt. Good luck! 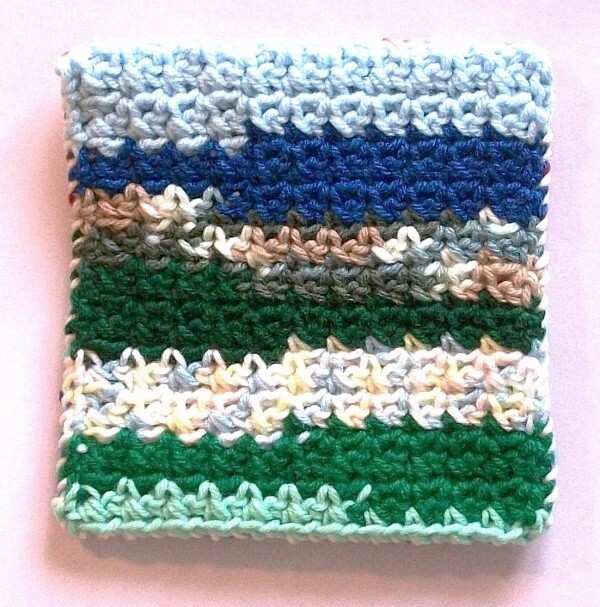 In addition to the ones mentioned above, I have gotten patterns at crochetnmore.com, crochetandknitting.com, knitting-crochet.com, crochetcabana.com, and yarncat.com. You can also just enter free crochet patterns in Google or Yahoo and it will give you lots of free sites to chose from depending on what you are interested in making. Does anyone have crochet patterns to share for a beginner. I am home a lot due to arthritis. I would really appreciate any ideas for ornaments or anything small. May God bless. I am looking for some really easy crochet patterns to make Christmas gifts for a friend to give to her friends. Anything fast like hats, potholders, double yarn projects.